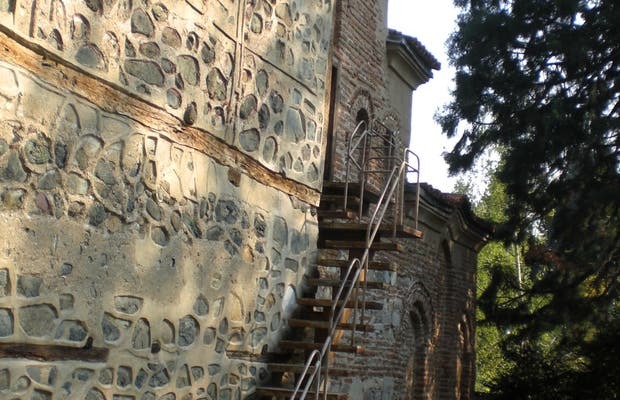 St. Nicholas and St. Panteleimon is an exceptional place well worth the title of a World Heritage Site. From the center of Sofia, it's best to take a taxi which costs about 5 euros and takes 20 minutes. Admission is another 5 euros, and it's best to go with a guide (there are group tours for groups of about 10 people). The church was built in three stages, the first in the tenth century, then in the eleventh century, and finally it was completed around 1250. What you see inside are the remains of wall paintings of saints. The earliest decorations from the tenth century seem like children's drawings.